Close quarters. Which is why I recommend you only take this journey with people you really like. Thursday night, merely twelve hours after my father and brother landed at CDG airport (mom arrived the day before), we boarded a train headed towards the middle of nowhere, France. Arriving at Culmont-Chalindrey station shortly before midnight, we sleepily crossed the platform for the next part of our journey, an Intercités de Nuit train to Nice. Whereas a normal direct train to Nice takes about five hours, the night train takes a leisurely route that stops at the major cities and towns from Provence to the Côte d'Azur, reaching its final destination around 9:30am. The four of us crammed into a sleeping car, which thankfully had just enough couchettes; the space was so small it would have been awkward to share with a stranger. I had reservations about how comfortable the ride would be, but I slept surprisingly well. The makeshift beds were padded enough, and the quasi-sleeping bags (or bed condoms, as a friend called them, since they prevent you from ever having contact with the mattress) that adorned them were quite warm. The movement of the train took some getting used to, especially when it took turns and bumps that momentarily sent the blood rushing to my head. 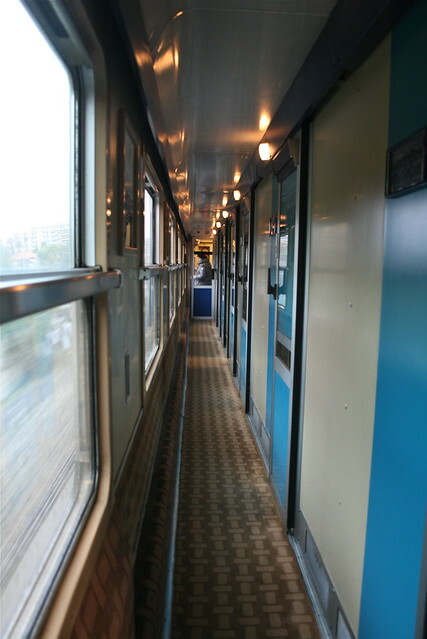 Unfortunately there aren't any shower facilities on-board (the trains are actually pretty old school; see: powdered soap in the bathroom), but it's a more efficient way to travel than flying or taking a direct train. The result? Full days of sightseeing before and after the journey.